Born in Victoria, British Columbia, Carr (1871–1945) trained in San Francisco and Europe and began her career in Vancouver, producing an impressive body of First Nations images in 1912. At the age of fifty-six she returned to northern British Columbia and began creating the works for which she is most noted, paintings that profoundly reflect her affinity with the northern landscape and First Nations culture. 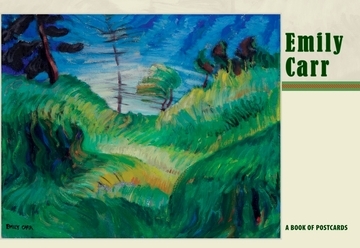 The Vancouver Art Gallery’s Emily Carr Trust collection, selected by Carr’s friend Lawren S. Harris, includes more than two hundred objects covering the period from approximately 1890 to 1942. Unrivaled in quality, the Gallery’s collection offers the complete range of Carr’s artistic production.